Launched in 1977, For over three decades, Jack Johnson Company has taken a holistic approach to planning, architecture, and engineering specializing in resort communities, such as ski, golf, and beach resorts. It's proven to be among the few companies that can envision, guide and complete world-class resort and residential developments under one roof. Provide centralized communication using SharePoint technologies that would both create unity between diverse locations with centralized management. Build a user interface that is friendly enough to minimize helpdesk calls. 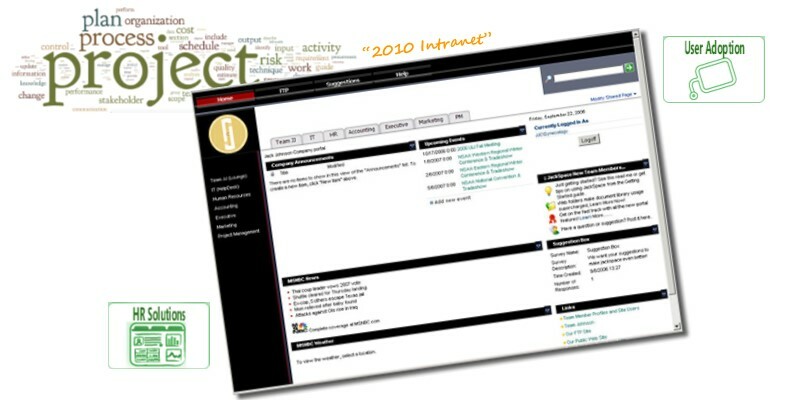 Provide an administration area that was intuitive for new SharePoint administrators to manage. Working closely with subject matter experts we designed an information architecture that would create unique security and variances a branding for different office locations, a centralized roll-up of news published to a central location from subsites. We installed SharePoint and provided power user training and support through the launch process including surveys for usability feedback, branding and appearance, and assessment of content relevance. Improved sense of company unity was accomplished along with efficiencies for human resources sharing documents from one centralized location. This improved communications system, reduced emails, and achieved efficiencies and cost savings. We have been providing Microsoft SharePoint consultanting services for many years now and we know how important security is to companies. Please contact us to find out how we have helped other companies and how we can help yours.